I had hoped to post a notice that my Ghost Hands Kata book was finished. https://senseijohn.me/2018/11/07/new-book-update-ghost-hands-revealed/ Maybe even post an excerpt and a video. While I’ve made substantial progress, the final stages of refining the draft and editing have been difficult. My daily kata still keeps me sustained despite the drain; just not enough to motivate me to finish the Ghost Hands book- at least not today. I came a contest for new writers. So, I’ve channeled my energy into a fact-based short story for a new writers contest. 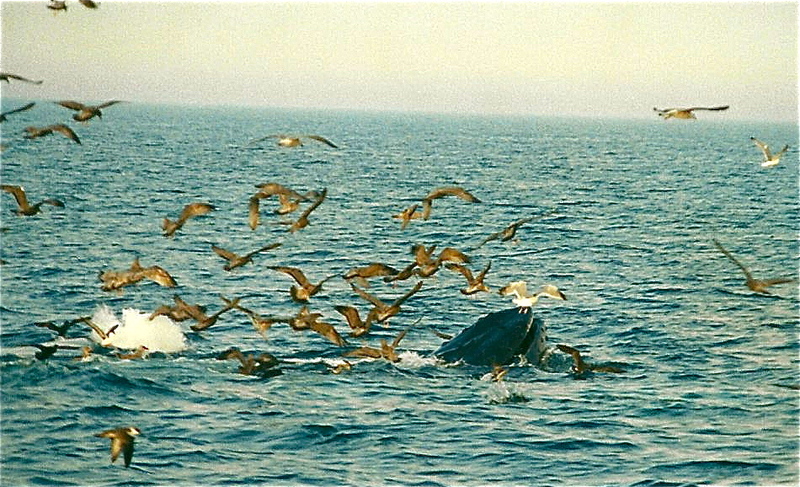 It is a true story based upon otherworldly events that happened to me a few years ago. I never published it; thus making it eligible for the contest. Additionally, except for the people in the story, I’ve only told one other person of the event. That was Shihan Wayne Norlander. I often confided the otherworldly result of my esoteric kata practices to him. He would patiently listen and offer suggestions. With his untimely passing seven years ago, those conversations ended. Nevertheless he continues to inspire and help – but, that is another story for another day. Naturally, the story has a kata element. Each day I practice my kata, including the Ghost Hands Kata, and write. My esoteric experiments with kata allowed me to experience the unexplainable, otherworldly event told in the story. So, since I don’t have an update on the Ghost Hands Kata book – just yet, I thought I would share with you the opening of my short story. Hopefully it will win the contest and be published, if not, well then I’ll be able to post it here and share it with you. Sensei buried his father. It was a troubled time. The day of the funeral and several days before, it rained so hard Noah would have built an ark.The dreary, soul drenching weather reflected both the funeral and the last three weeks of his father’s life. Rod Stewart sang, “Its late September and I really should be back in school.” Well, it was September 30th and Sensei’s father did not have to die so soon. But, he did. That was yesterday, the past. In the present, Sensei was ready to go home. Three months ago, Sensei and his wife, Dee-dee, locked their house in Arizona. With their dog, a miniature pincher named Zoe, they started their Toyota Tundra and began a four day road trip to New Jersey. They were going to visit family, especially their five year old grandson, Sheldon. They intended to stay for two weeks. Once they arrived, Sensei’s father’s health began to fail. Sensei’s father had been on oxygen for the last two years; even that did not deter his smoking. Now with advanced lung cancer, each day his lungs failed more and more. After three months, of increasing immobility and pain, Sensei’s father’s life ended. And so did Sensei and Dee-dee’s visit. But, before they would once again enter their front door, Sensei would make an otherworldly discovery. Sensei would find an umbrella. Sensei wasn’t his name. His given name was John. Sensei, pronounced Sen-say, is a title. John earned it decades ago when he was promoted to the karate rank of Sho-dan, first degree black belt. Sensei’s black belt was the result of eleven years of progressing through the lower ten student ranks. 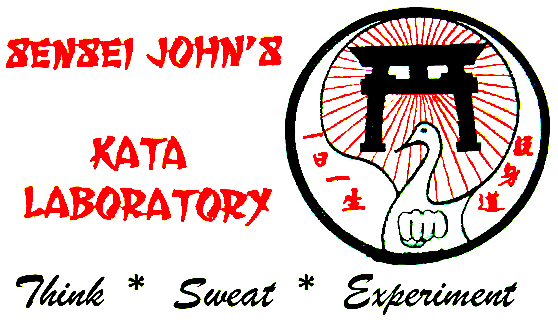 John walked into his Sensei’s karate dojo in Palisades Park, New Jersey a shy ten year old boy. There is a saying in the martial arts, “It was my mother who bore me, but my Sensei who made me a man.” At twenty-one years old, John was a man, and aSensei. The word itself is formed by two root word. “Sen” meaning “before.” and “Sei’ meaning “being” as in a physical presence. Sensei, therefore literally means“Before-being” or “One who has knowledge before another;” in western terms, a teacher. 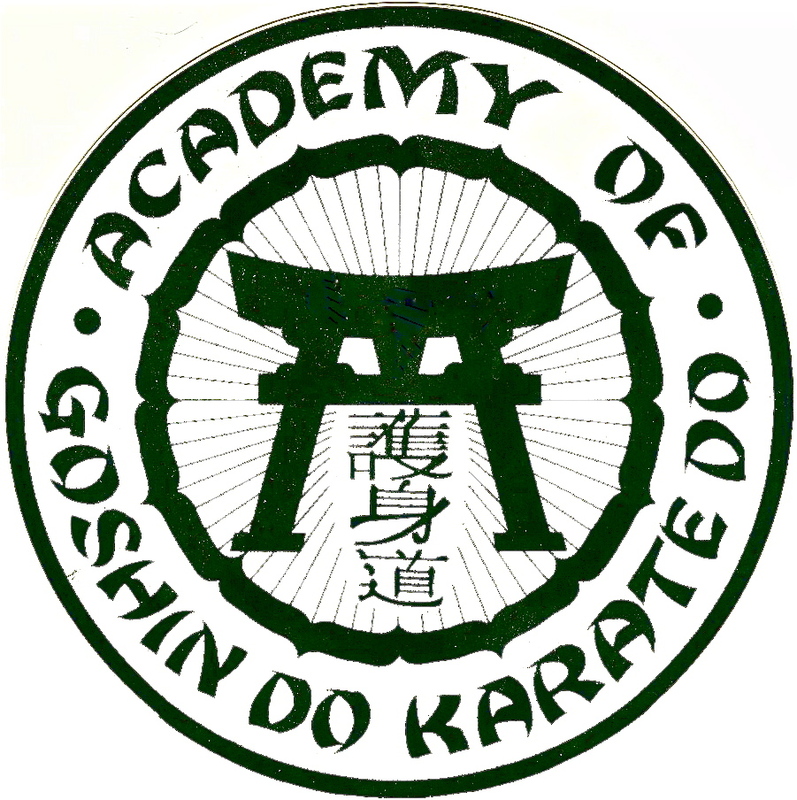 Sensei’s style of Okinawan Karate is Goshin-Do Karate. The english translation of the style meant “Strong-heart way of the empty hand.”Sensei forged a strong heart and an iron spirit. Now, at fifty-seven years old he holds the advanced rank of nana-dan, seventh degree black belt. 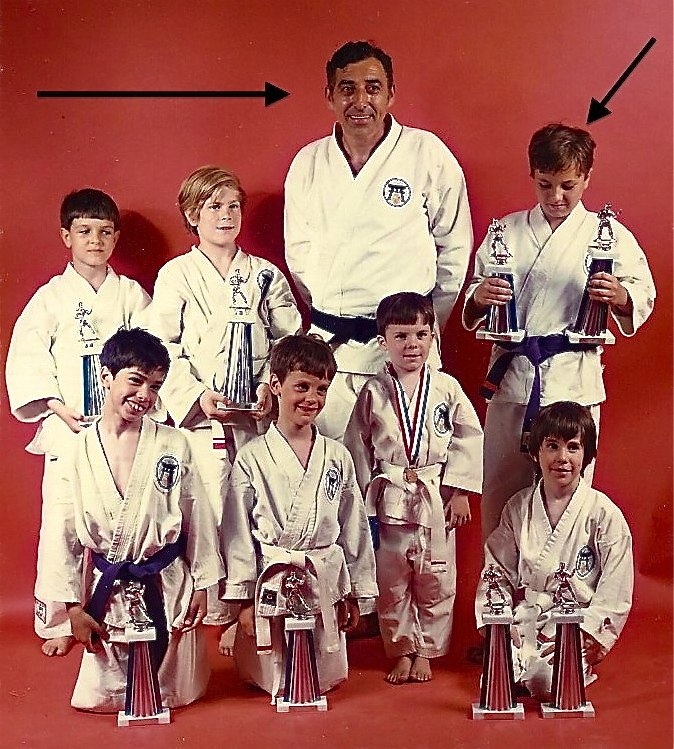 The forty-seven years since he tied on his first belt, a white belt, seemed like both the blink of an eye and a lifetime ago, as if it was in a past life. For the past twenty years, Sensei covertly explored a hidden, esoteric path of karate. He delved into the highly guarded, secretive, non-physical aspects ofthe the rituals of karate known as “kata.” Kata are the martial forms, like deadly dances, designed to hone not only the practitioner’s physical combat skills, but also produce a heightened state of mind and spiritual awareness. Sensei took kata a major step further. His kata revealed an otherworldly realm. Kata became Sensei’s version of the Shaman’s ayahuasca, the Native American’s peyote ritual and dances, the Yogi and Guru’s esoteric practices and other such otherworldly rituals. Sensei’s kata opened the portal to an understanding of the nature of the physical and non-physical realm beyond the ken of the average person. As his title implies, Sensei came to this knowledge before any other past practitioners of the Goshin-Do style. In all the world, you could count on your fingers the number of practitioners that understood the reality in which Sensei lived. Because of his secret, esoteric skills, Sensei found the umbrella. It is both my pleasure and my curse to tell you the story of his discovery. As the contest is for unpublished stories, that’s all I can post for now. I’ll keep you posted as to whether it wins or not.